The Guesthouse is situated on campus on the Heijendaalseweg (Platolaan). 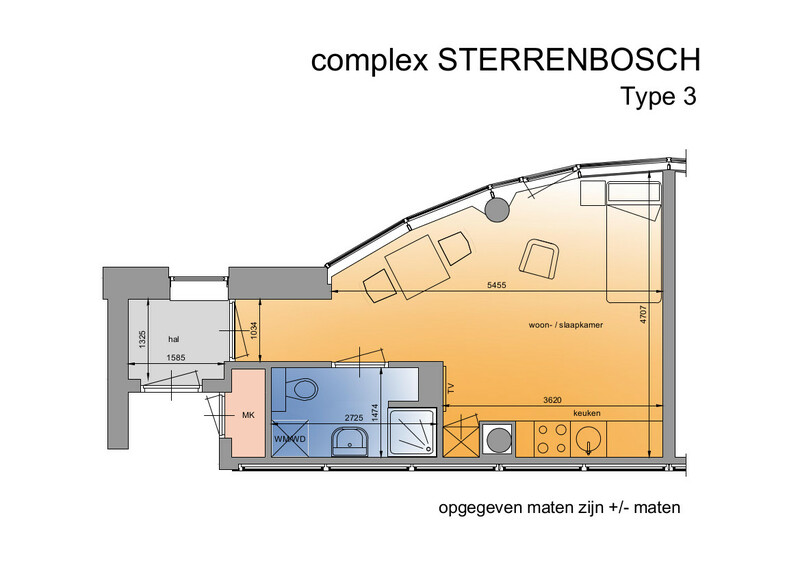 It forms part of a larger residential complex named Sterrenbosch. 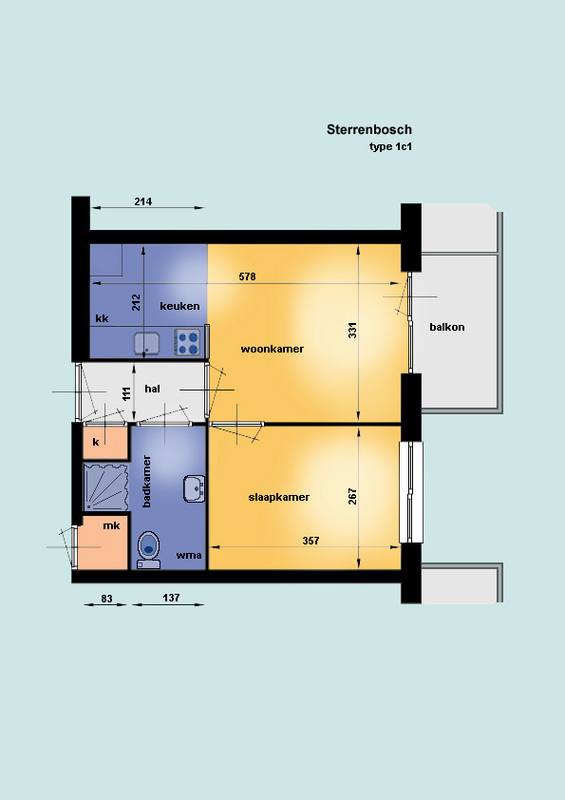 The Guesthouse has 51 single-occupancy apartments measuring 36 m² and 20 flats measuring 50 m² (suitable for 2 adults / 2 adults + 1 child up to and including 4 years / 1 adult + 2 children up to and including 4 years). The apartments are situated in block 5. The apartments consist of a living room with open kitchen, bedroom, bathroom and entrance hall. Several apartments have balconies. 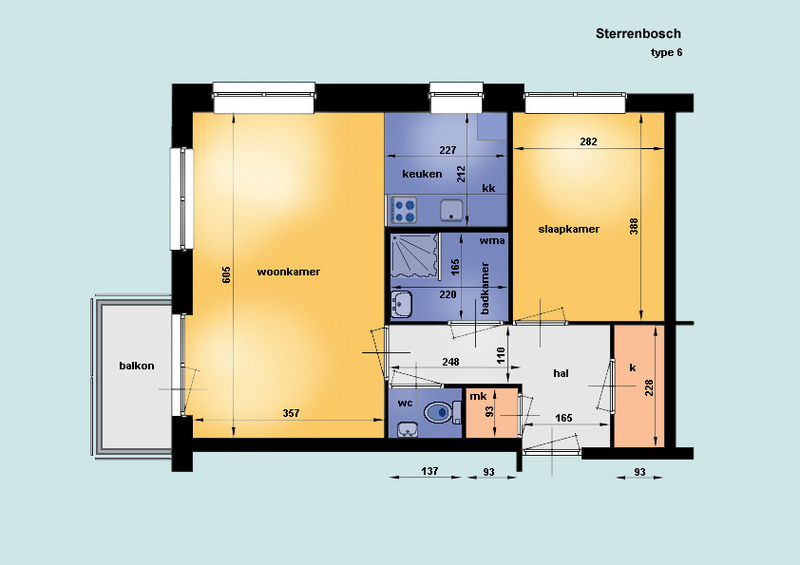 One apartment is available on the ground floor for a disabled person. The 32 single occupancy apartments are spread over the complex. 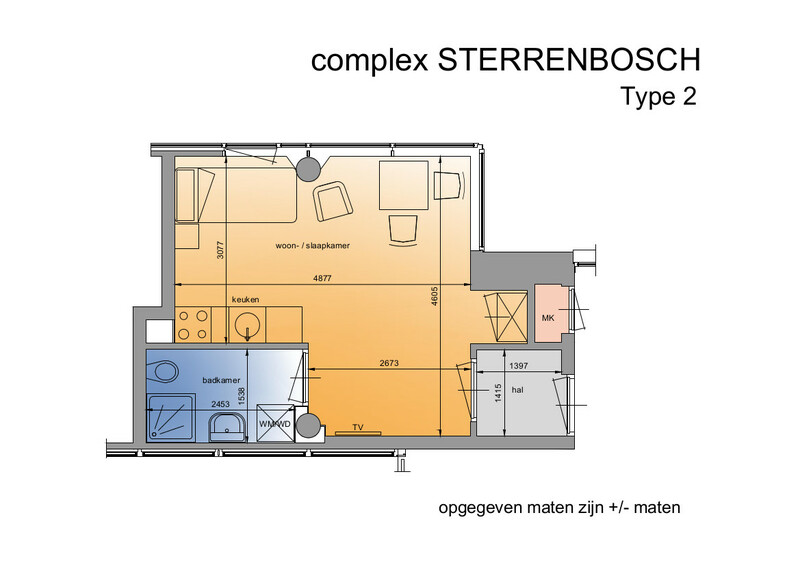 These apartments consist of a living room with open kitchen, bedroom (no separate room), bathroom and entrance hall. There is no balcony. All apartments are completely furnished. Pay attention: if you need a bed for your child, this needs to be requested in advance! Want to know everything about the guesthouse? It takes just one click! Each apartment has its own television set, radio and central antenna connection. There is a Wi-Fi internet connection. The kitchen has an electric hotplate, cooker hood, microwave oven, refrigerator, ironing board/iron and basic kitchen utensils. Besides a washbasin and shower, the bathroom is equipped with a washing machine and dryer. In addition, guests can purchase a package of linen (exists of a quilt for single use, cover for quilt , pillow, pillow cover and fitted sheet) for € 46,-. 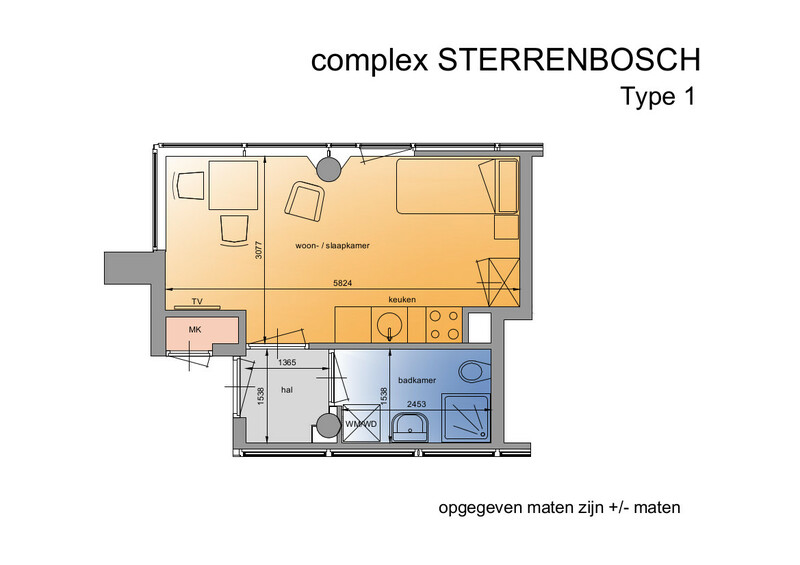 Parking places are foreseen in the basement right under the complex, and can be rented for € 35,- a month. There are also two lockable bicycle sheds in the basement.